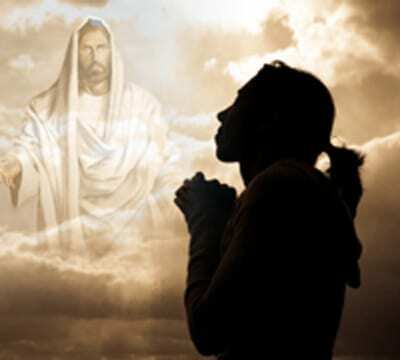 There is a controversy among some Christians who believe that Jesus is not God about whether or not we can pray to Jesus. The only definitive place to go for an answer to that question is the Word of God. It is important when trying to answer such an important question that we do not base our position upon only one Greek word or one verse. Rather, we must examine the scope of Scripture to see what it says. We believe that the Bible makes it clear that one can certainly pray to Jesus but does not have to, and we will do our best to show why that is. First: Jesus is Lord of all (Acts 10:36; Rom. 10:12) and has all authority in heaven and earth (Matt. 28:18). How can he be “Lord” in any real sense if we cannot ask him for things? Now that the exalted Lord Jesus has all authority, it makes even more sense that we petition him, even as it made sense that people petitioned him when he was alive in his earthly ministry. Hundreds, even thousands, of people asked Jesus for things when he was on earth. Does it make sense that someone could ask Jesus for something 2000 years ago but cannot do so now? Second: We are to have fellowship with the Son (1 John 1:3). How can we have fellowship with Jesus, which clearly indicates being in relationship with him, but not ask him for anything? We have fellowship with God and ask Him for things, and we have fellowship with other Christians and ask them for things, so does it make sense that we are to have fellowship with Jesus but not ask him for anything? Third: Jesus said that his followers could ask him for things. These verses are especially enlightening when we remember that the entire context of John 14 is Jesus telling his disciples that he is going to be with the Father. If we could not pray to Jesus after his ascension to the Father, that would have been the perfect place to say so. He could have said something like: “You have asked me many things while I have been with you, but now I go to my Father, after which you cannot ask me for anything, but must ask Him.” Of course that is not at all what he said. On the contrary, he said we could ask him for anything after he was with the Father, and he would do it. Fourth: The Word of God makes it clear that believers in the early Church thought it normal to talk with the exalted Lord Jesus Christ. After his ascension, the disciples prayed to Jesus about choosing a replacement for Judas. This was logical because they understood it was Jesus who had originally chosen the Twelve. Stephen called upon Jesus, not God, when he was being stoned. Paul pleaded with the Lord Jesus about his “thorn in the flesh,” as is clear from the context of the following verses. (8) Three times I pleaded [parakaleo = to beseech] with the Lord to take it away from me. Fifth: Verses such as Acts 9:34 and 2 Timothy 4:17 show that as the Head of the Body the Lord Jesus is actively involved in healing and sustaining its members. It is our contention that any Christian can ask the Lord Jesus to do for him anything that would help him do the works that Jesus did. As Head of the Body he converses with believers and asks things of them. It is only logical that we would also ask things of him. The New Testament tells us of his personal interaction with Stephen (Acts 7:56); Saul/Paul (Acts 9:1–9, 16:7, 23:11; 2 Cor. 12:9; Gal. 1:12); Ananias (Acts 9:10–16); Peter (Acts 10:9–22; 2 Pet. 1:14); and John (Rev. 1:9–18). Could it really be that with such an intimate connection to the members of his Body the Lord Jesus could not be addressed by his Church? Surely we can ask our Lord and Head for whatever we need. Sixth: One solid piece of evidence that people can pray to Jesus is the phrase, “call upon the name of the Lord.” Christians are to call on the name of the Lord Jesus, that is, pray to him for help in life. Through the Old Testament, when people “…called upon the name of the LORD,” it was to pray to, appeal to, or ask for help from God. From there he went on toward the hills east of Bethel and pitched his tent, with Bethel on the west and Ai on the east. There he built an altar to the LORD and called on the name of the LORD [Yahweh]. God tells the people that when they pray to Him (“call upon my name”) He will answer. Just as the Old Testament records people calling upon the name of the LORD God in prayer, so the Church Epistles use the same terminology to record people praying to the Lord Jesus. The epistle to the Romans also speaks of calling on the Lord Jesus. There is a lot of important information in these verses. First, we should note that the Lord Jesus “richly blesses” those who call on him, showing that as we ask him, he will answer our prayers. Second, verse 13 is a quotation of Joel 2:32, which is a prophecy of people calling on the name of God for help and deliverance—definitely prayer to God. The fact that the Word of God takes the quote about prayer to God from the Old Testament and applies it to Jesus in the Church Epistles is more very solid evidence that we can pray to Jesus. The epistle to Timothy also shows believers calling on the Lord. Even as Old Testament believers called upon the name of the LORD (Yahweh), we today can “call upon” Jesus, and that means we can pray to him and expect him to answer our requests. Seventh: It is honoring to God when we honor Jesus. The first thing we notice about these verses is that God’s intent is that people honor the Son just as they honor Him. More than that, if we do not honor the Son, we do not honor the Father. The pertinent question we must ask ourselves is, “How do we honor the Father?” Surely, one way we honor Him is by our praise and thanksgiving to him and by our prayers to Him. According to Scripture, we are to honor the Son in the same way. Eighth: There is no verse, and nothing in the scope of Scripture, that forbids us from praying to Jesus. This is important because God’s prohibitions in Scripture are quite plain. Since we can ask both God and other people for things we need, it seems only logical that if we could not ask our living Lord Jesus for things, the Bible would say that somewhere. However, no verse prohibits us from asking Jesus for what we need. Not only can we ask Jesus for things, we can thank him for what he did and is doing for us and that is only logical. Think about it. Jesus is alive. He is Head of the Body of Christ. He is our Lord. How could we not be able to lift up our voices in praise and thanksgiving for saving our lives? We thank God for all kinds of things and we thank other people for their acts of kindness to us. We are also able to, and should, thank Jesus Christ for what he did and is doing, even as Paul did. There is no question that most of the uses of the different Greek words for “prayer” are in regard to our communication with God, and most of the prayers (upward discourses) in the Church Epistles are directed to God. He is a Father whose love for each of us is boundless, focused, passionate, and relentless. We are to converse with Him regularly and intimately. Nevertheless, it is clear that we can also pray to Jesus for things we need. We have seen there is clear biblical precedent for calling on the name of the Lord Jesus, i.e., talking with him and praying to him for what we need. But some have taught that for a Christian to talk (or to “pray”) to Jesus Christ is a slight to his Father, God. In John 5:23, however, Jesus said that in the future all men will honor the Son just as they honor the Father and that anyone who does not honor the Son does not honor the Father who sent him. We must remember that it was God who elevated His Son and gave him all authority and the name above every name. Far from being a slight to the Father when we honor the Son, it glorifies the Father and validates the plan He had in sending His Son, and it glorifies Jesus Christ for the magnificent and magnanimous work he did for all mankind. When we honor the Son, the Father ultimately gets the glory. The Bible does not seem to have any specific commandments as to when or about what a believer should talk to Jesus, as opposed to God. Whether a believer prays to God or Jesus is left up to the individual. However, the vast majority of Scriptures dealing with prayer make it clear that God is the principal source of all things, and therefore should be the chief focus of our worship, praise, and supplication. However, we do see some indication that the Lord Jesus Christ focuses primarily on dealing with the Church, while God not only deals with the Church but also with bringing to pass His desired ends for the world in general. The very terminology of Jesus Christ being the “Head” of the “Body” (the Church) indicates that he is inseparably linked to the daily direction of Church affairs. As a human being’s head is constantly in touch with each cell of his body, so the Lord Jesus Christ is directly connected to each believer via the gift of holy spirit and is readily available to direct each individual’s function in the Body. Some verses to study in this light are: 1 Corinthians 12:4–6; Ephesians 1:20–23, 4:11, 15 and 16; Colossians 1:16–18. Those verses show the Lord’s involvement in setting in place the members of his Body and directing the function of those willing to listen to him. Those who enthusiastically embrace the idea of praying to the Lord Jesus must recognize that this practice ought not to be carried out to the point of distracting one from the worship of the Father. We are sure that the Lord Jesus would find it ironic indeed if he himself were to become the principal object of Christian worship and adoration when his entire life and ministry was devoted to the glorification of his Father. We should also make it clear that we are not saying that a Christian must pray to the Lord Jesus as part of his or her Christian walk. Since there is no clear command to pray to Jesus Christ, as there is to God (Eph. 5:19 and 20; Col. 1:3 and 9, 4:3), we are hesitant to transform an inference, no matter how clear, into a doctrine which would then mandate the practice. On the other hand, we shudder at the idea of any Christian telling another that it is wrong for him to talk/pray to the Lord Jesus. We would particularly hate to see believers judge one another and segregate themselves from other Christians over the issue of whether or not they pray to the Lord Jesus. We think whether or not one prays to Jesus is a matter of individual conscience, and not an issue about which believers ought to tyrannize one another.